Ah, summer! The season of braids and sunburns! Ironically, I went on vacation to Greece for a week and didn’t get sunburned once, but came home, had one picnic outside and now my shoulders are a lovely shade of lobster! I was just so much more prepared to burn on holiday that I was really careful with sunblock, but I wasn’t as cautious with my own local sunshine. Oh well, I won’t make that mistake again … until next summer. 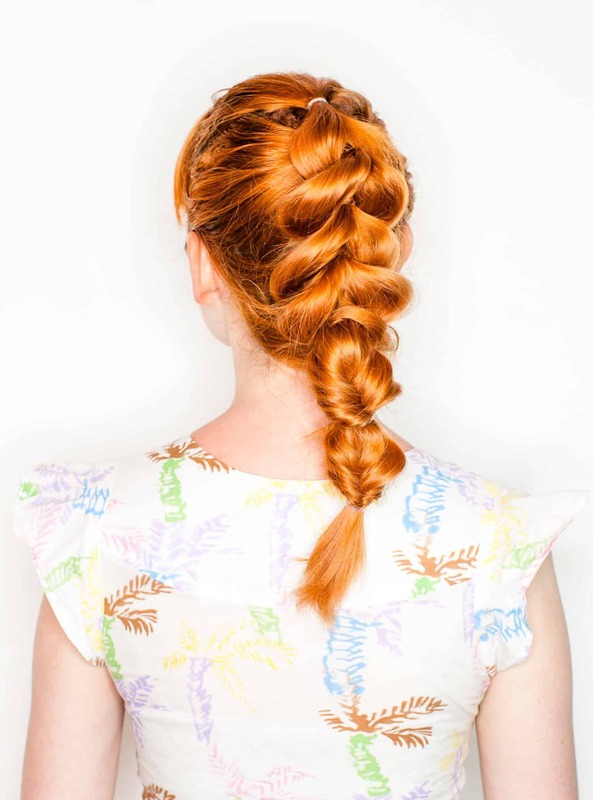 Sunburn aside, it’s also the season of the braid. Or in the case of this look, the no-braid, braid! This style is perfect if you struggle to do braided hairstyles. All you need for this look is a handful of hair elastics.